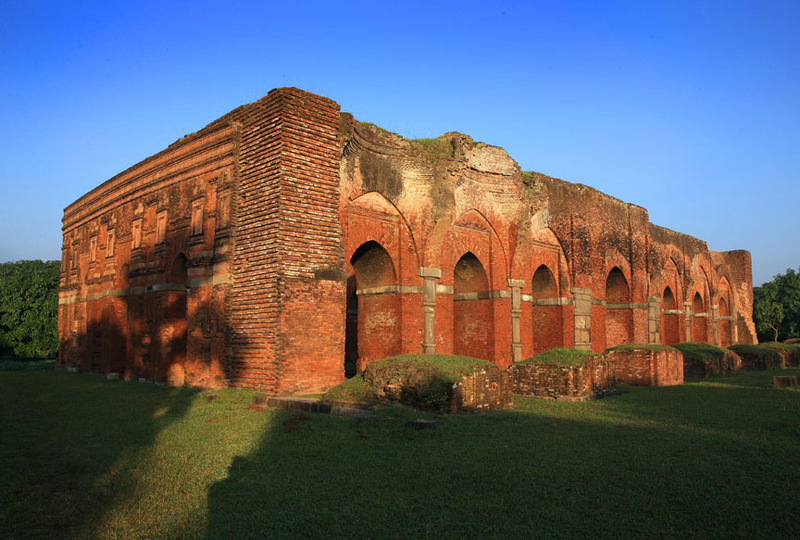 Mughal Architecture of Bangladesh refers to the architectural attributes and styles of Bangladesh. 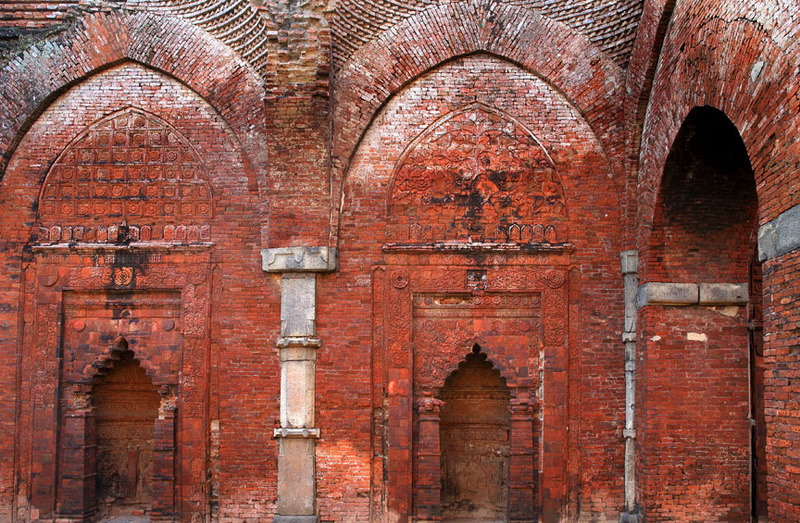 The architecture of Bangladesh has a long history and is rooted in Bangladesh’s culture, religion and history. 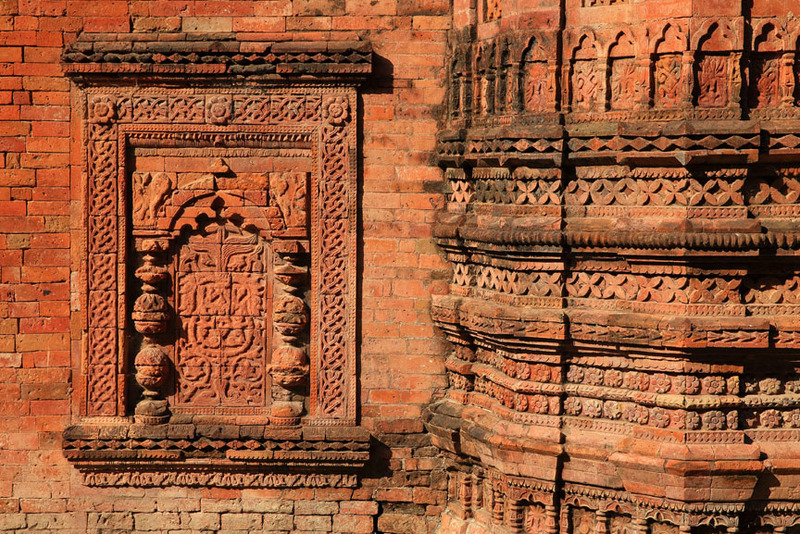 It has evolved over centuries and assimilated influences from social, religious and exotic communities. 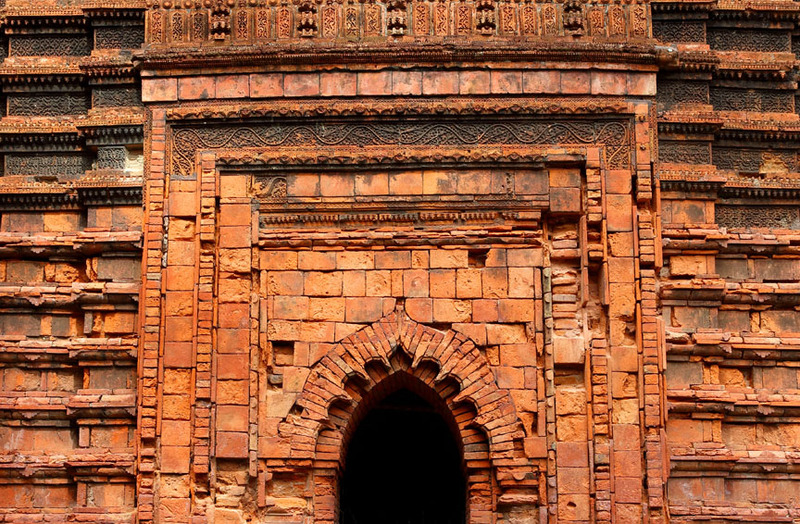 The architecture of Bangladesh bears a remarkable impact on the lifestyle, tradition and cultural life of Bangladeshi people. 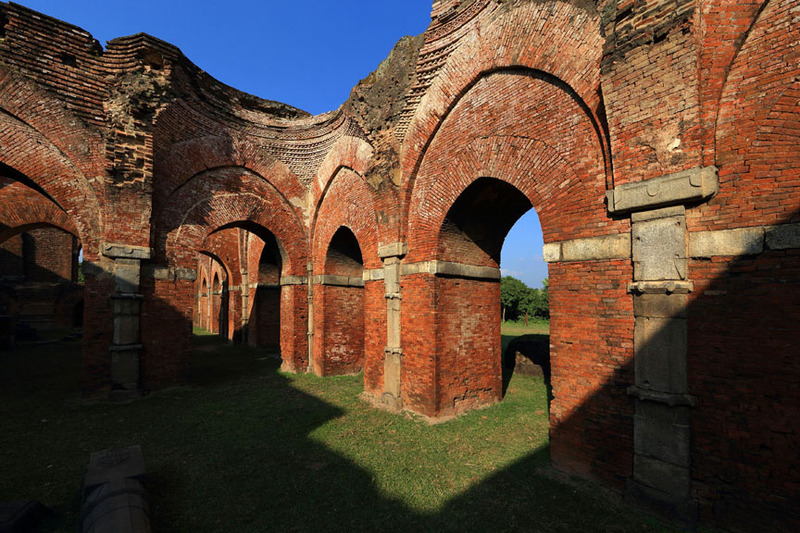 Bangladesh has many architectural relics and monuments dating back thousands of years. 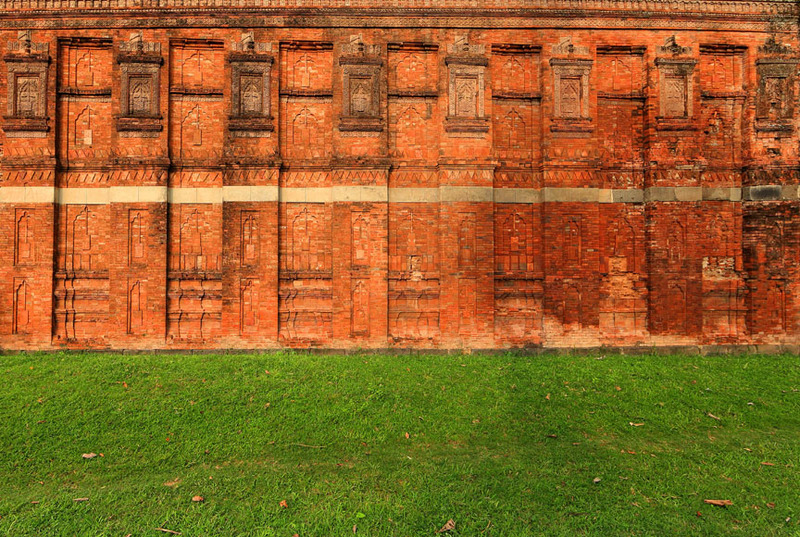 In 1576, much of Bengal came under the control of the Mughal Empire. 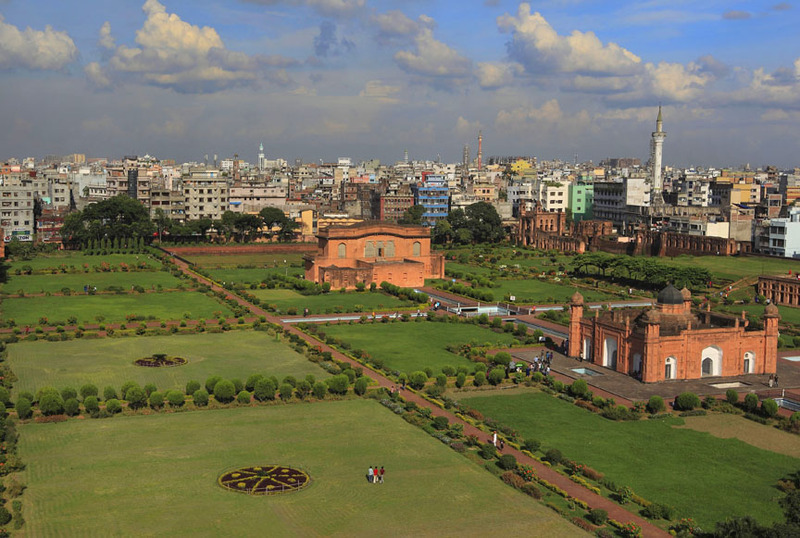 At the time, Dhaka emerged as Mughal military base. 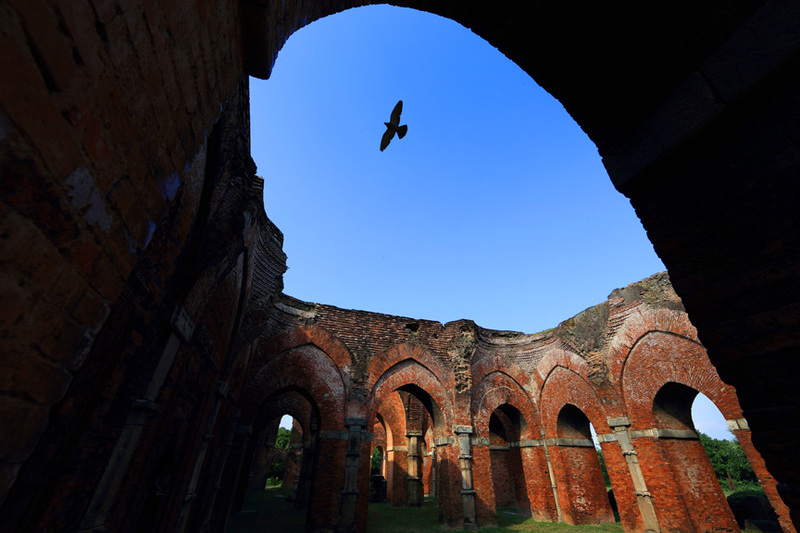 The development of townships and housing had resulted into a significant growth in population, as the town was proclaimed by Subahdar Islam Khan I as capital of Bengal Subah in 1608, during this time many mosques, forts and universities had been built. 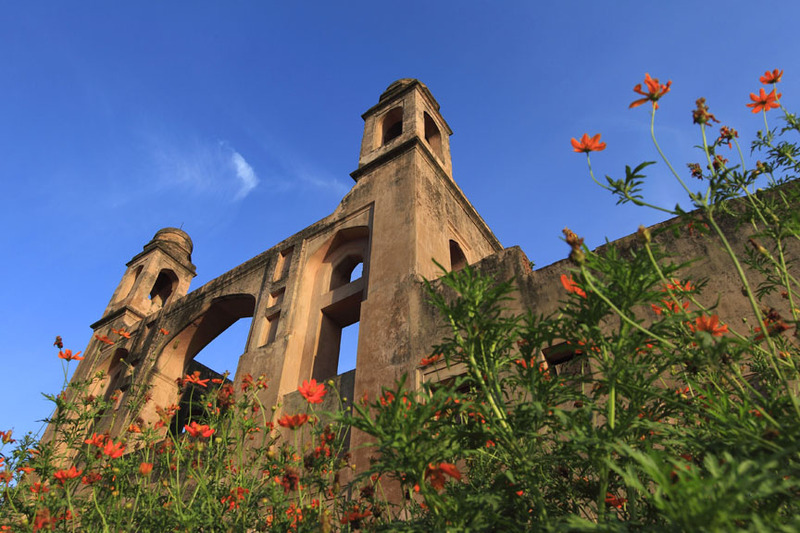 Bara Katra was built between 1644 and 1646 CE to be the official residence of Mughal prince Shah Shuja, the second son of emperor Shah Jahan. 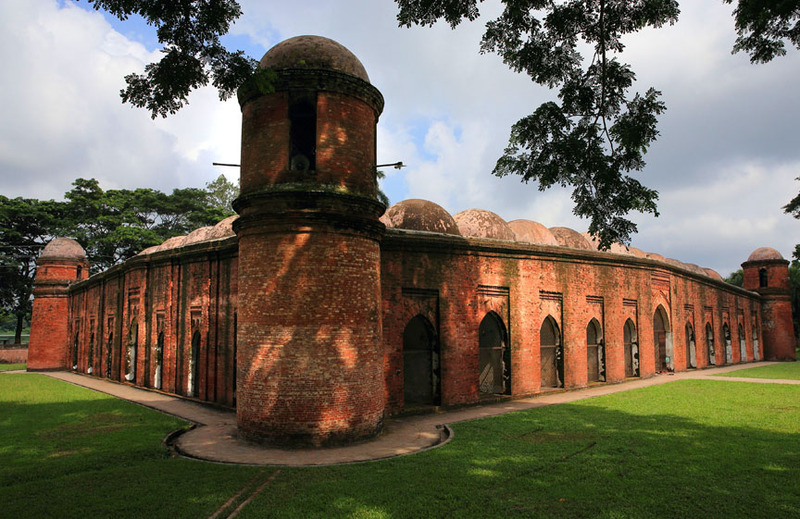 Mughal architecture in present-day Bangladesh reached its peak during the reign of Subahdar Shaista Khan, who encouraged the construction of modern townships and public works in Dhaka, leading to a massive urban and economic expansion. He was a patron of the arts and encouraged the construction of majestic monuments across the province, including mosques, mausoleums and palaces that represented the finest in Persian and Mughal architecture. 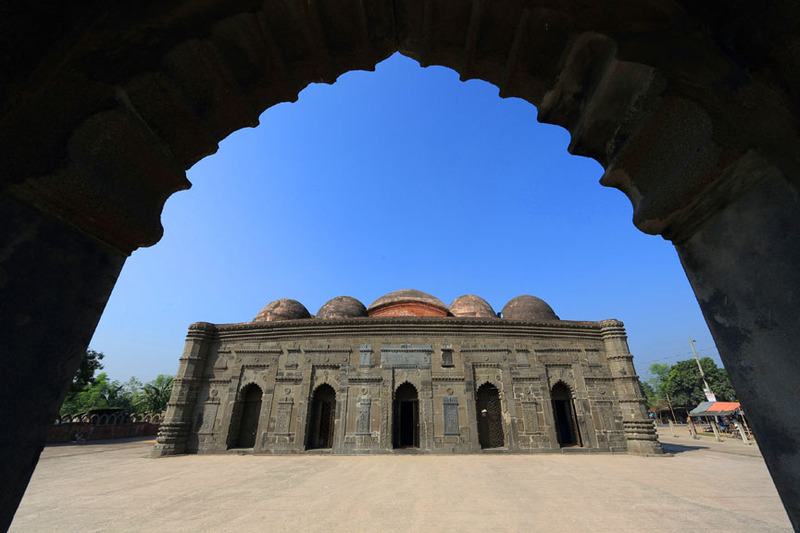 Khan greatly expanded Lalbagh Fort (also Fort Aurangabad), Chowk Bazaar Mosque, Saat Masjid and Choto Katra. 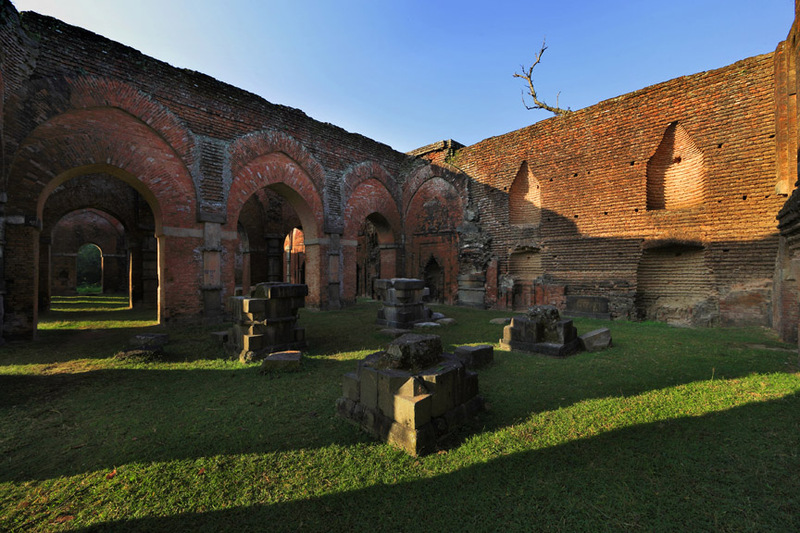 He also supervised the construction of the mausoleum for his daughter Bibi Pari. 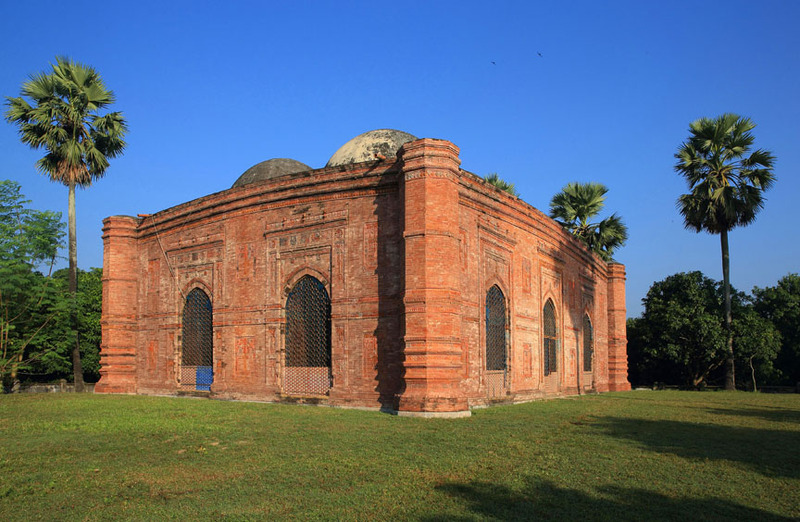 As in other Muslim buildings in Bengal, local Bengali tastes and techniques are more pronounced in pre-Mughal tombs, while preference for cosmopolitan Mughal style dominates Mughal funerary structures. 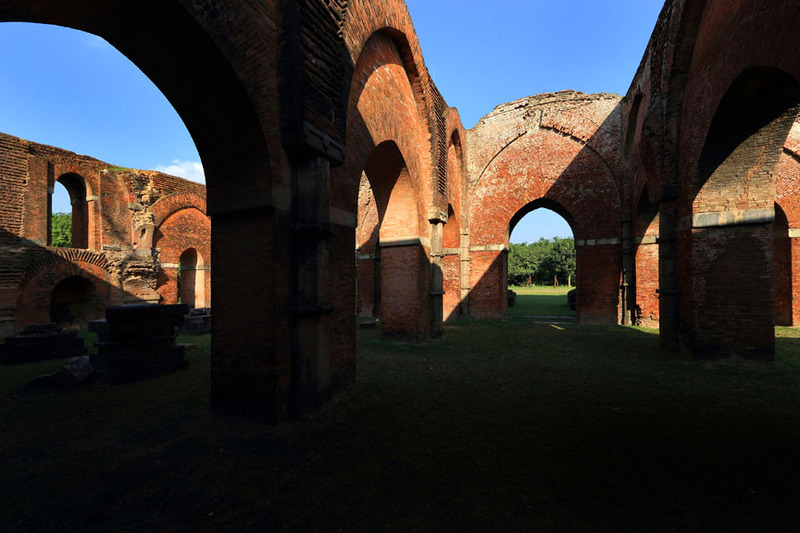 Notwithstanding the survival of a number of detached funerary epigraphs, a systematic study of the tomb architecture in Bengal based on historical sequence is made difficult because the majority of tombs in their present state are without inscriptions recording the name of the deceased or the date of the construction of the tomb. Local traditions are often relied upon to hypothesize the identity of a tomb, although internal evidence implicit in the technique and style of construction provides a stronger basis for establishing the authenticity of a burial place.